Elwin asked me to design custom Netrunner card especially for our local Netrunner community. 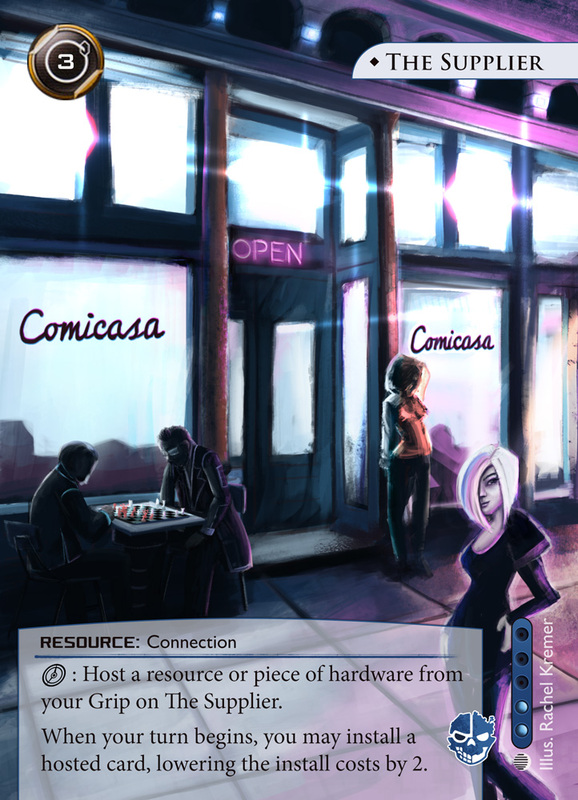 We decided to go for the card The Supplier and to depict the Comicasa, our local comic and games store who are always willing to host the Netrunner tournaments. Also as a thank you for their work. The image was printed on 63x89mm cards. We have some other plans for custom cards, they are a lot of fun to make, so expect a few more of these in the future.